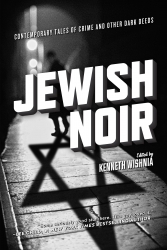 Jewish Noir, edited by Kenneth Wishnia, is a unique collection of all-new stories by Jewish and non-Jewish literary and genre writers, including numerous award-winning authors such as Marge Piercy, Harlan Ellison, S.J. Rozan, Nancy Richler, Moe Prager Reed Farrel Coleman), Wendy Hornsby, Charles Ardai, and Kenneth Wishnia. The stories explore such issues as the Holocaust and its long-term effects on subsequent generations, anti-Semitism in the mid- and late-20th century United States, and the dark side of the Diaspora (e.g., the decline of revolutionary fervor, the passing of generations, the Golden Ghetto, etc.). The stories in this collection also include many “teachable moments” about the history of prejudice, and the contradictions of ethnic identity and assimilation into American society. Jewish Noir is available directly from PM Press. Mystery Readers NorCal was treated in October to an amazing Literary Salon with Editor, Publisher, and 7 contributors to this amazing volume of short stories. WHAT DO YOU MEAN BY JEWISH NOIR? At first, I didn’t know where to begin. Did I really have to explain it? Some thought it was a joke. (How is it Jewish? Do the killers eat bagels while they’re shooting people?) But they weren’t laughing once I finished setting them straight. Maybe it has to do with the high visibility of American Jews in two prominent areas: Wall Street and Hollywood. Yes, American Jews have been quite successful overall. But some people (OK, a lot of people) clearly have no idea how dark the general Jewish experience of history has been. And so it falls to me to correct that impression. Never mind the horrors of government-sponsored pogroms in Tsarist Russia in the early twentieth century. Never mind the attempted genocide at the hands of the Nazis and their collaborators in mid-twentieth century Europe. Never mind that overt systemic discrimination against Jews continued well into the 1960s in many otherwise enlightened regions of the United States. The Jewish experience is noir from the beginning. Literally. In the first chapter of Genesis, God subdues the forces of chaos and sets up an orderly, balanced world. Then in chapter two, he turns a couple of innocent creatures loose amid his creation, and through a series of slip-ups and miscommunications, things start rapidly going sideways, and by the end of chapter three—that is, 7 pages into a text that runs 2,023 pages in the JPS edition—young humanity is exiled from Paradise. To quote James Ellroy’s definition of noir: On page one everyone’s fucked. Then it gets worse. 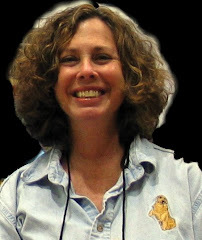 The Jewish experience of noir is so ingrained in our psyches that one of the contributors to Jewish Noir, Tasha Kaminsky, while maintaining that she really isn’t a “noir” writer, included a line in her story, “Your Judaism,” that came from her experience as a twenty-first century American Jew, which fellow contributor and esteemed noirchaeologist Charles Ardai cited as a defining condition of noir: “the idea that maybe the universe isn’t indifferent and it’s actively against me.” Not really a noir writer, eh? Her answer: George Eliot, for the novel, Daniel Deronda. Followed by the authors of Ecclesiastes, Job, and Lamentations. For it is said that despite being the pivotal figure of the Hebrew Bible, Moses still “felt like a stranger on earth” (in the words of one commentator, known as Or HaChaim). Not your typical Sunday school Jesus-loves-you stuff, is it? Another contributor, Rabbi Fisher, summed up our condition as follows: The Jews are the eternal people who are always dying. That is some seriously dark humor, folks. So, yeah. Jewish Noir. Reed Farrel Coleman says it’s the most redundant title in literature. P.S. : On a related note, to be considered for further discussion elsewhere, in true Talmudic fashion: It seems like at every event we do for Jewish Noir, someone asks us for a definition of noir as well. Why is that? Nobody asks the romance writers for a definition of romance, or the writers of police procedurals for a definition of the police procedural. What is it about “noir” that occasions such questions? I expect some answers by the time we do our “Jewish Noir” panel at Left Coast Crime 2016 in Phoenix, AZ. See you there! That shows how little people think about many things. There is noir in any demographic. Hell, there's "1% noir," though that would tend to gravitate around problems many people would be happy to have. Add to that even a cursory knowledge of Jewish history, here and abroad, and this is another stone removed from my edifice of respect for my fellows. I did laugh at the comment by Reed Farrel Coleman about "Jewish noir" being a redundancy. I get it, of course. But now I wish there were an invitation to writers for a volume called JEWISH JOY. We all SHOULD know by now of the mountainous contributions to civilized life by Jews. A ledge in that mountain is humor. How many TV shows and motion pictures that make us laugh were developed by Jews? Of course, the noir publisher can't support a Jewish Joy book, but I wish someone would! Ken's essay's on the book are worth the price of the book. His group at Janet's was wonderful and I look forward to Phoenix. And to answer Noreen Ayres, there are books of jewish humor.